Modern Protestant Theology has been described by some as “theology become anthropology.” This description is particularly apt for the theologies found in three significant works of modern philosophy and theology, Hume’s Dialogues Concerning Natural Religion, Hegel’s Philosophy of History, and Feuerbach’s The Essence of Christianity. These are not the only ones that fit this description—the subjective shift in Schleiermacher could surely be described similarly—but these will be the object of our analysis. All three of these works betray an understanding of God and of Christian doctrine that is reduced, in one way or another, to man or the likeness of man. This shift is subtly evident, first, in Hume’s Dialogues in the character Cleanthes. 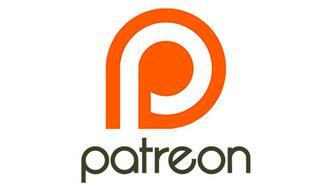 Cleanthes is a sort of deist trying to demonstrate the existence of a god through a-posteriori reasoning. Like most European thinkers at this time, this ‘god’ is thought of in Christian terms, yet the god Cleanthes ends up with is not the Christian God. 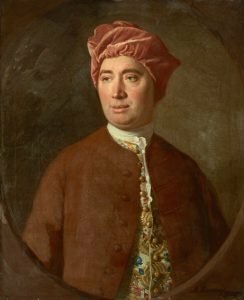 Through the various twists and turns of Hume’s argument, Cleanthes is forced to abandon everything super-human about god. His commitment to a-posteriori natural theology, reasoning from his experience to the sort of god that must exist, proves a god that is ultimately only a vague manlike cause for the universe. The shift to anthropology is seen here in the stripping away of transcendent mystery: if man knows god only through experience, then the god known will be nothing more than an analogy of man. God may be greater in one sense or another but still will not escape the bounds of man’s knowledge and imagination. Yet, when compared to the thinkers who follow him, Cleanthes appears conservative. His god is still a being separate from man and worthy of man’s reverence. 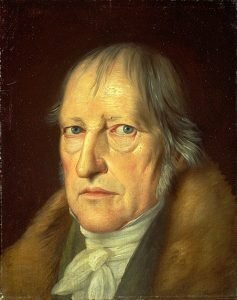 For Hegel, theology becomes anthropology because god is made practically inseparable from man (Feuerbach will argue that Hegel still tried to separate them, leaving some sort of transcendence in his god-talk). Hegel endeavours to explain history through reason, to explain how the events of history are really a process of reason. He explains this process as the coming to self-consciousness of Spirit, or the idea of freedom becoming realized. For Hegel, God as Spirit is inextricably tied to human civilization. History goes through three stages in Hegel’s thought: first, the Spirit immerses itself in the world, as the constitution or organizing idea of the first civilization—the Orient. In the Orient there is pure objective or substantial freedom—abstract reason without individuality and subjective intuition (subjective freedom). Then the Spirit first comes to self-consciousness in Greece and Rome, where it recognizes its particularity—the concept of the individual and subjective freedom begins to emerge. Yet this individuation causes division: objective freedom, the transcendent Spirit, is separated from subjective freedom, the incarnate Spirit. Freedom is still not fully realized, the Spirit is still not fully self-aware until these become united. This happens in the German (European) civilization, where the Secular state (objectivity) and the Church (subjectivity) are united. Here, reason is understood to be the true measure of objectivity, yet this is an internal objectivity. Man is subjectively free to follow this objectivity, to become a law unto himself. In this way freedom is fully realized. As this relates to Hegel’s god, these three stages in history are three stages [momente] in the being of god: god is first pure transcendence, objectivity, then he is particularized (figured by Jesus Christ) yet not reconciled with objectivity. The last stage is the third and final member of Hegel’s trinity: the objective god the father and the subjective god the son are reconciled in man, their unity upheld in the final stage of history, where reason (freedom, the Spirit, god) is crowned and man understands himself to be divine. Hegel still acknowledges the objective existence of Spirit, yet this is the internalized objectivity of human reason. So Hegel ultimately reduces god to the evolution of human society culminating in the ascendency of reason—the internalization of Spirit. Hegel still, apparently, wants to keep a sense of transcendence, some sense in which humanity is divine yet not completely equivalent to the Spirit. Our last author, Feuerbach, sees this is a great error Hegel makes. Feuerbach’s agenda is much more radical: he wants to identify god with man, to make theology anthropology and psychology. 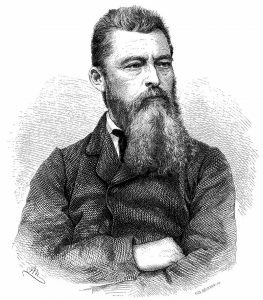 In his book the Essence of Christianity, Feuerbach argues that Christian doctrines are really the objectification of the subjective wants, desires, and ideals of man. That is, man projects those things that he would want, desire, need into an external object which he then reverences as god. Everything described in theology is really a reflection of man’s own perfections.